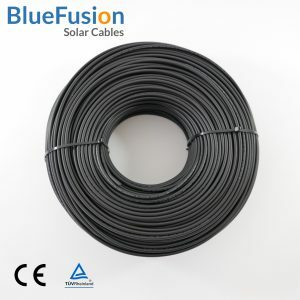 Solar Panel cable designed for use in photovoltaic system components. 2.5mm single core. Black outer insulation. 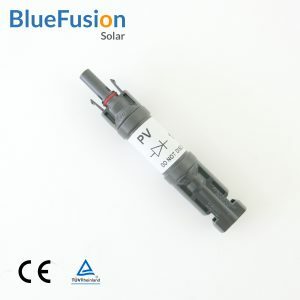 Rated to 40Amp (Ambient), AC 0.6/1.0KV, DC 1.8 KV. Wholesale price for system installers (eligible for Trade Account customers). 2.5mm single core. 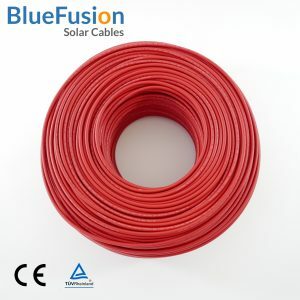 Red outer insulation. 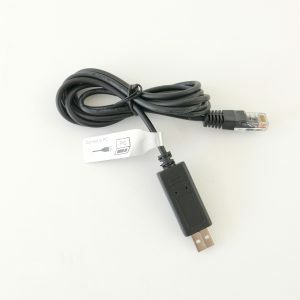 Sensor, with 3m cable and connector. 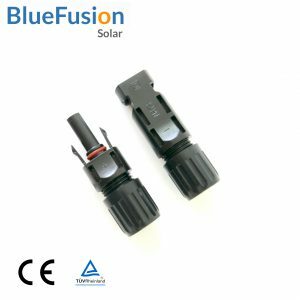 Blocking Diode MC4 Adapter, 20A, 1000V. 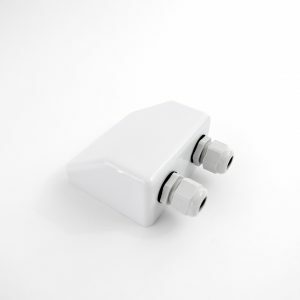 Prevent current back flow and battery discharge overnight. MC4 Connectors. CE & TUV Certified. 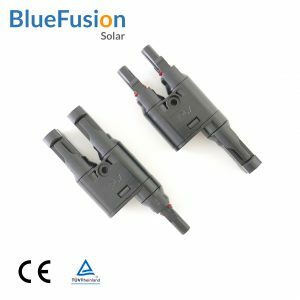 Set of two, 2-to-1 connectors, used to connect multiple solar panels in parallel. 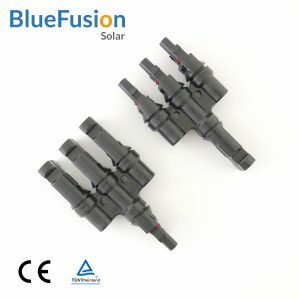 Set of two, 3-to-1 connectors, used to connect multiple solar panels in parallel. 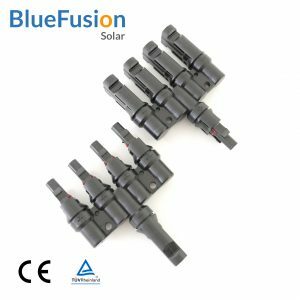 Set of two, 4-to-1 connectors, used to connect multiple solar panels in parallel. 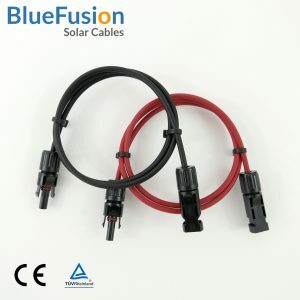 Pair of Black/Red Solar Panel cable extensions with MC4 (male/female) connector designed for use with photovoltaic system components. Rated to 30Amp (Ambient), 1000V DC. 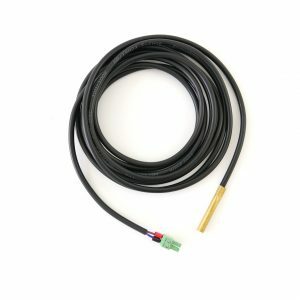 PC Communication cable, 1.5m length. 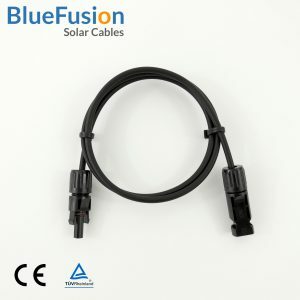 Solar Panel cable with MC4 (male/female) connector designed for use with photovoltaic system components. 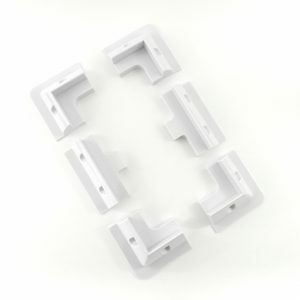 Brackets for Rigid Solar Panels. 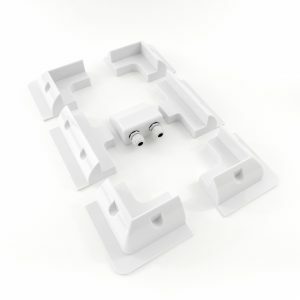 Includes a double cable entry gland. 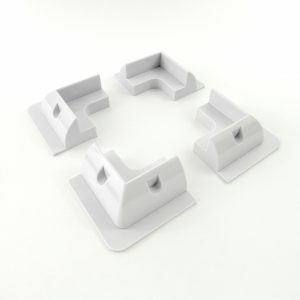 Corner Brackets for Rigid Solar Panels.